“On September 11, 2011 at 3:30 p.m., NPR Music and Q2 present a live audio Webcast of Remembering September 11: a free concert on the 10th anniversary of the 9/11 attacks from the Metropolitan Museum’s majestic Temple of Dendur. The afternoon’s program features the world premiere orchestration by Maxim Moston of William Basinski’s The Disintegration Loops as well as meditative, memorial works from Ingram Marshall, Osvaldo Golijov and Alfred Schnittke, performed by the Wordless Music Orchestra under the direction of Ryan McAdams. Hosted by NPR Music’s Anastasia Tsioulcas and WQXR/Q2’s own Helga Davis, the concert is part of the ground-breaking Wordless Music series, which presents imaginative programs that pull together musicians from the pop and classical worlds. The concert takes place at the circa 15 B.C. Temple of Dendur, a gift to the United States in 1965 by the Egyptian government, now housed in New York’s Metropolitan Museum of Art. The Aeolian sandstone monument sits in the museum’s Sackler Wing, a giant glass atrium with a reflecting pool and windows overlooking Central Park — the placement is meant to evoke the temple’s original location on the banks of the Nile River. For the concert, the musicians perform within the temple itself while the audience takes their seats on the floor of the cavernous atrium. The program opens with pieces that consider memory, loss and remembrance: Ingram Marshall’s Fog Tropes II, Osvaldo Golijov’s Tenebrae and Alfred Schnittke’s Collected Songs Where Every Verse is Filled with Grief, as arranged by the Kronos Quartet. Golijov addresses what he calls the ‘two contrasting realities’ at the origin of Tenebrae. But the centerpiece of the program is a world premiere orchestration of William Basinski’s monumental The Disintegration Loops. The experimental composer was attempting to digitize his analog tape loops from the 1980s when he discovered that the reel-to-reel material was disintegrating as it was being transferred. That work took place in August and September of 2001 — as the music was playing and deteriorating in Basinski’s Brooklyn apartment, he and his neighbors watched that fateful morning unfold. When Nadia is away, we are delighted to hear Helga Davis. Like Nadia, Helga brings more than the music. She brings her personality and her perspective. It was their song that welcomed me into each Spring day and the absence of their melodies has finally caught my attention. I take up the camera and without imposing an agenda, I walk and think about the music for this week; what melodies can accompany the silence left by Spring? 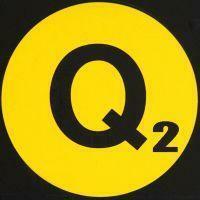 Q2 News brings us the future happenings, recorded and presented on the web stream. “From Juilliard to (Le) Poisson Rouge, the World Financial Center to Lincoln Center, Cued Up on Q2 brings New York’s vibrant New Music scene to you, with full-concert performances by Bang on a Can All-Stars, eighth blackbird, Gabriel Kahane, the JACK Quartet, Maya Beiser, Missy Mazzoli and many many more. 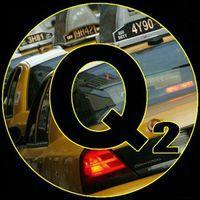 Cued Up on Q2 streams Sundays at 2 p.m. with encore presentations Tuesdays at 8 p.m. and Thursdays at 4 p.m.
“Cued Up on Q2 connects listeners with New York City’s vibrant New Music scene. With New York Public Radio voices John Schaefer, Jad Abumrad, Nadia Sirota and Helga Davis, the summer festival series crystalizes the great strides in innovative, contemporary music-making and offers a way for local audiences to re-experience and international audiences to discover the dynamic music of today.